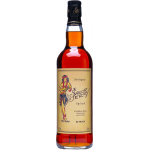 Sailor Jerry Rum is a spiced rum created by the famous tattoo artis 'Sailor Jerry' Collins. Sailor Jerry Rum is a spiced rum created by the famous tattoo artist ‘Sailor Jerry’ Collins. An o..